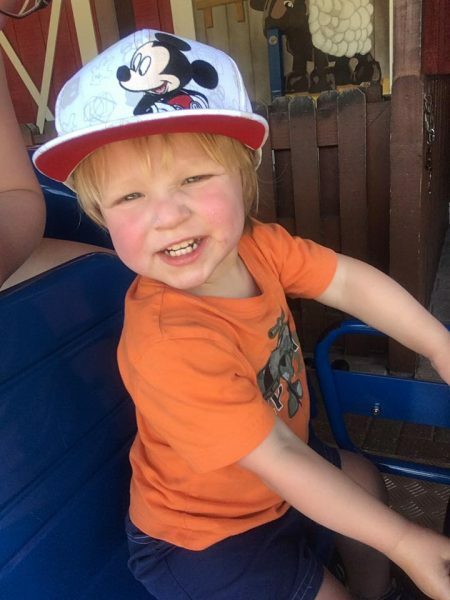 Are you planning a theme park trip with young children? Last week we went on a whirlwind Orlando trip with our two kids, ages 5 and 2. Orlando is about an eight hour drive from us, so we decided to make a trip before we move away this summer. We drove there and back and visited two popular theme parks in three days. So, yeah, you could say we are a little crazy. However, our crazy ends up for your benefit. If you’re planning any kind of theme park excursion this summer with your young children, I’ve got some pro tips for you! 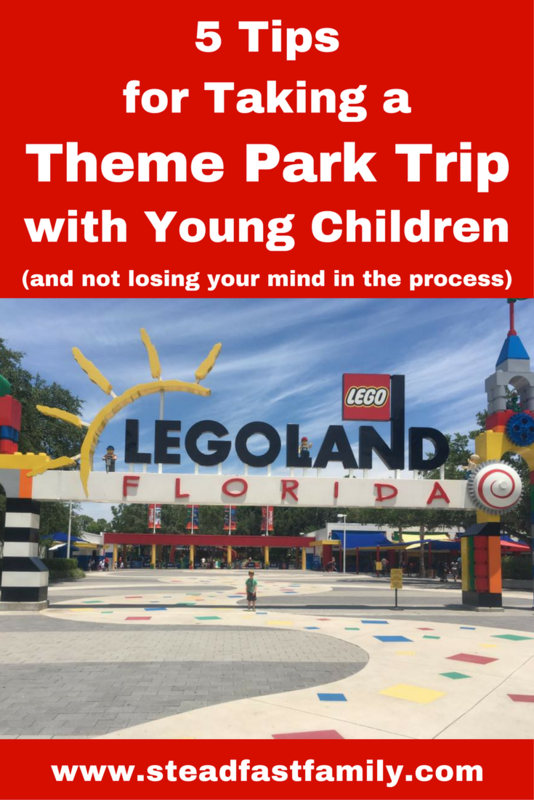 This post is brought to you in partnership with Legoland Florida Resort. All opinions are 100% my own. Affiliate links are also included. Your purchases through these links help keep this blog running! When planning a visit to a theme park, its super easy to go overboard with the planning of every last detail. While it’s good to be prepared, don’t go too crazy and set yourself up for frustration when things don’t go as planned. For our first theme park, I wanted to get there before the opening time… we woke up late. So I wanted to get there as soon as possible… then we got lost on the way there. I was hoping to bring a packed lunch to save money… but we didn’t have time to stop at the grocery store. After these set backs (and more!) we could have let discouragement settle in and take hold. However, we chose to let it go, move on, and make the best of what we had – two small children who were still having a blast, regardless of whether the adults plans were flowing perfectly. If you are visiting a theme park at any time of the year, your energetic little ones are going to want a snack at some point. Unless you want to pay top dollar for theme park snacks (annoying if you’re already planning on purchasing meals there), bringing a few along is a much better option. Plus, unlike packing a whole meal, snacks are usually more portable and easy to take along. They also make great distractions during breaks – or for while big brother is riding the “big kid” rides! If you are visiting a theme park during the summer, do not underestimate the importance of water. Sure, it’s important all the time, but I don’t know about you – I don’t normally spent 90+ degree summer days outside the entire day. If you don’t bring your own water bottles, you will either blow through the expensive theme park water, or be seriously parched. Avoid heat stroke and bring one of these bad boys – we filled this water bottle up with ice (which stayed in there all day) and refilled it with water as needed throughout the day. Seriously, these water bottles are awesome (we got this straw lid to use with it). While you probably don’t want to be lugging giant double jogging stroller around a theme park, having a stroller with a little room to carry your stuff is a must with small children. We brought our Britax B-Agile Stroller and it had the perfect amount of room for our snacks, supplies, and water bottles. I saw so many people with tiny umbrella strollers – I don’t know how they did it! Another added benefit to a nicer stroller is that most have the option for your child to recline back. On both of our theme park visits, the toddler nodded off in the stroller and took a nice little nap. A must when you have kiddos used to taking a nap – especially when they are out in the heat all day! Unless, of course, you enjoy afternoon meltdowns! I know, I just praised the awesomeness of the stroller. 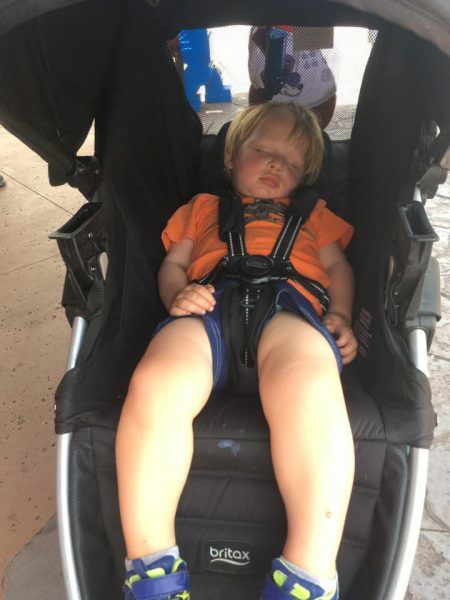 However, here’s the thing, if the toddler rides in his mighty chariot all day long with his devoted parents pushing him around the park this is what you will end up with at the end of the day: a toddler with tons of pent up energy and exhausted parents. Ask me how we know. If the park you are visiting is going to be too busy to let your toddler toddle on his or her own, I certainly won’t judge you for using a kid leash. I totally would have if I would have thought about it early enough. Even something like this would have been great for my five year old (who I’m not even worried about bolting off) because it got awfully sweaty during the times we needed to hold hands. 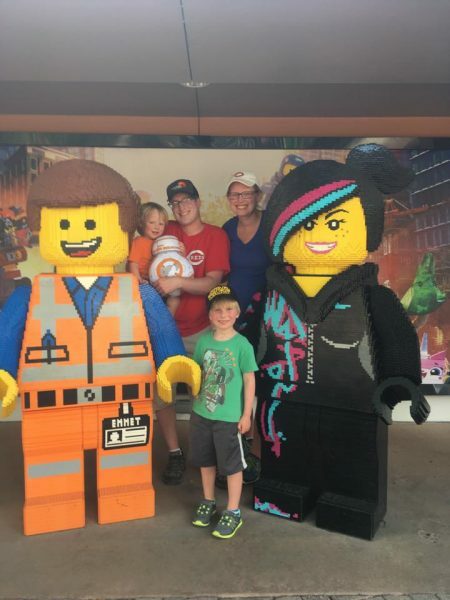 We truly weren’t able to put our finger on what was missing from the experience until we went to Legoland the next day. It was a night and day difference. It wasn’t totally over crowded. The employees were cheery and helpful. But the biggest thing that left us feeling like, “yes! we will be back!” was: #builtforkids. I didn’t remember that was their hashtag until we returned home, but it fits 100%. 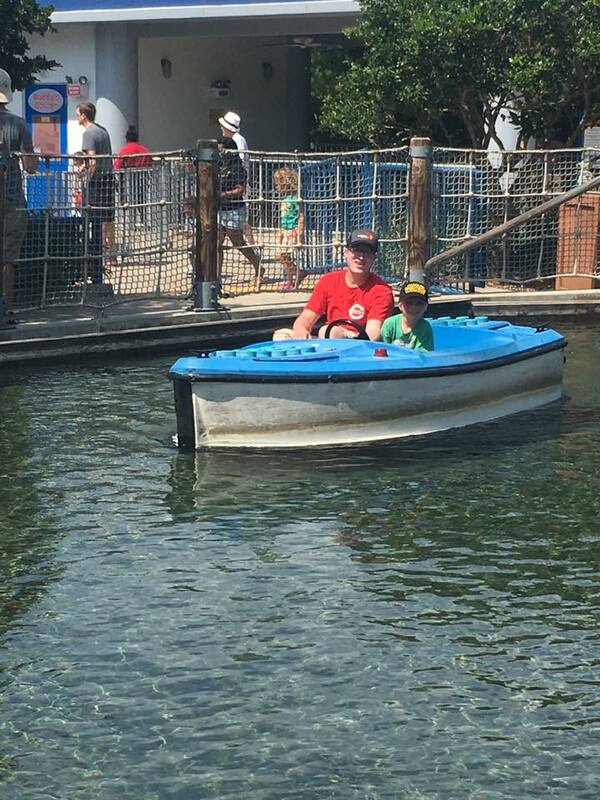 Legoland was absolutely built with kids in mind. We started off in Duplo Valley, which is especially geared towards the younger crowd. I think my 5 and 2 year old could have stayed there the whole day. Hands on play area (in the AC – hallelujah! ), kid friendly rides, splash area – it was perfect. But it wasn’t just Duplo Valley, the whole park was built with kids in mind. The ride lines had play areas for the kids while parents held the spot. There were free play, hands on exhibits scattered throughout the park. There were rides that were perfect for all ages. The whole experience was like a breath of fresh air compared to the day before. 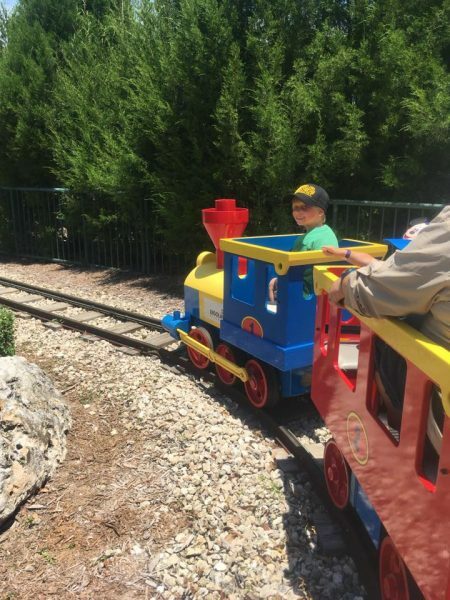 A good way to describe the park is like the perfect baby of a hands on children’s museum and a theme park. And, don’t forget the LEGO. If you have kids that enjoy Lego, they will seriously go crazy here. Awesome Lego shops around every corner, the most amazing life size Lego creations, and plenty of opportunities to build. It’s a Lego lovers dream. After the day was over, we all agreed that Legoland was our favorite. I hope these tips were helpful to you no matter what theme park you’re braving this summer. 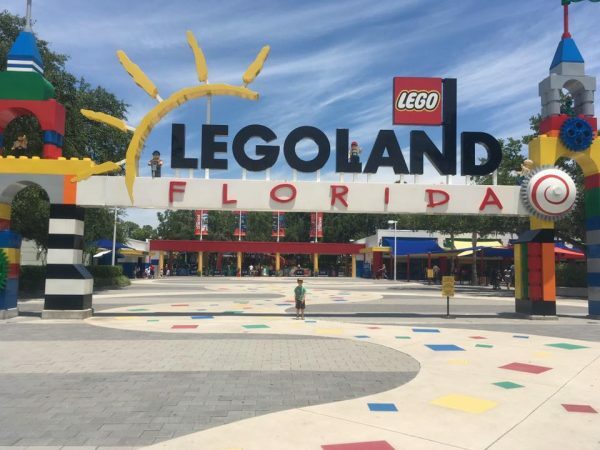 But seriously, if it’s an option, opt for Legoland Florida Resort. WOW! 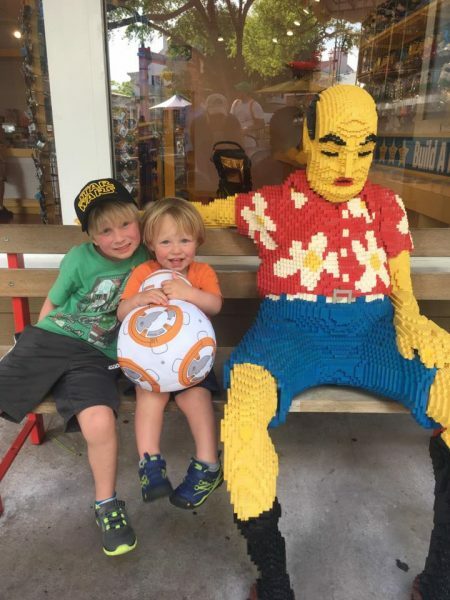 Your trip to Legoland Florida Resort is really fun and interesting!